Incorporated in the year 2006, ANG Lifesciences is engaged in the business of manufacturing and marketing of finished pharmaceutical formulations in a dosage form of sterile dry powder injection vials. Our products include sterile dry powder vials for Anti Biotics, Anti Ulcerant, Gluco corticoid and Anti inflammatory, Anti malarial and Anesthetic. We carry out our production through our state-of-the-art manufacturing unit spread over 45,000 Sq. Ft. situated at Village Kishan pura, P.O. Manpura Baddi Nalagarh Road, Tehsil Nalagarh, Dist. Solan, Himachal Pradesh. Presently, our total built up area is dedicated to manufacturing of Dry Powder Injectables. Our manufacturing unit is well equipped with the modern and validated manufacturing and analytical equipments and detailed standard operating procedures (SOP’s) are in place with respect to Quality management, Personnel, Premises, Equipment, Documentation, Production, Complaints and Self Inspection/Audits. 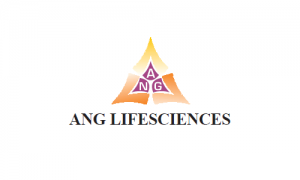 ANG Lifesciences IPO allotment status is now available on Bigshare Services' website. Click on this link to get allotment status.